GLOSEK - Patrick J. 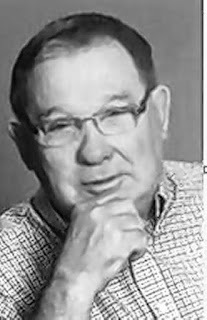 Of West Seneca, entered into rest February 6, 2019, age 73, beloved husband of 53 years to Patricia M. (nee Piotrowski) Glosek; devoted father of Marcia (Douglas) Berry, Monica (Christopher) Bystryk, Marilyn Glosek and the late Michelle; cherished grandfather of 12 grandchildren and one great-grandchild; loving son of the late Anthony and Estelle Glosek; dear brother of the late Sonny (Carol) Glosek; also survived by relatives and friends. Relatives and friends may visit the LOMBARDO FUNERAL HOME (Southtowns Chapel), 3060 Abbott Rd. near Lake Ave., on Monday from 1-9 PM. A Funeral Service will be held at the Old Time Baptist Church, 5599 Camp Rd., Hamburg, on Tuesday afternoon at 1 PM (please assemble at church). Interment Lakeside Cemetery.